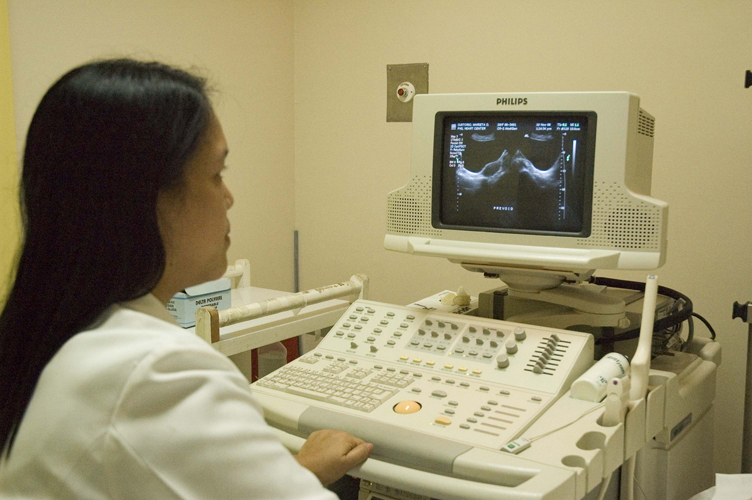 The Non-Invasive Diagnostic Cardiology Division (Cardiac Graphics/Exercise Laboratory) is one of the busiest areas of the Philippine Heart Center and one of the biggest Heart Station in the country today, where patients are referred for non-invasive diagnostic procedures. The primary objective is to obtain a complete and precise cardiac diagnosis with the use of non-invasive cardiac diagnostic methods that are performed by skilled, competent and compassionate staff. The laboratory contributes in arriving at correct diagnosis, which is the basis of a rational therapy, thereby minimizing morbidity and mortality. Total number of procedures performed annually is approximately 300,000. It is located at the ground floor of Medical Arts Building with local numbers from 3140 to 3145.